Knowing your crystals for psychic protection is good for any shaman and healer. This is a very basic guide on utilizing certain crystals and stones for psychic protection and to a certain extent, psychic attacks, largely based on my personal experiences and preferences, recommended by certain individuals and enlightened beings 😉 and books by famous authorities on crystals and crystal healing. I hope it would be most helpful to those who most need psychic protection and to those who are learning to heal and protect themselves from negative entities and dark forces using crystals. My mentor Riana, a modern-day shaman, was the one who initially introduced me to crystals for psychic protection. Because of her work helping people who are tormented and attacked by witches and warlocks – and the occasional macabre and devilish entities like vampires, disembodied spirits and the bogeyman – Riana taught me all I know about using crystals and other nature-based things for psychic protection. Basically every crystal can be “programmed” to act as a “psychic shield” against dark entities and psychic attacks. It all depends on how you program them and how “precise” and “sincere” your intention is. And read our energy signatures and auras. From now and forever, ever more. • Amethyst/Amethyst cluster. No one can go wrong with using the crystal amethyst as it carries a pleasant and soothing healing vibration. Amethyst resonates with our crown and ajna (3rd eye chakra, right in the middle of our forehead, popularly known as the “seat of psychic abilities”) chakras, as the crown chakra is violet in color and the ajna chakra is indigo in color. Commonly available in purple or violet, amethyst can be used to generate the “violet flame”, which is a purple burst of energy or sometimes, can be manifested as a shield of violet light that will protect anyone from negative energies or psychic attacks. An amethyst cluster placed strategically in the middle of a room will keep its occupants safe from negative or psychic attacks and provides healing energy – provided that it is properly cleansed regularly. I also personally used amethyst crystals for healing, as it generates a gentle healing energy. An amethyst wand can also be used to direct violet flame to heal someone’s body if properly programmed. Black tourmaline is considered one of the more established high vibration crystals used for psychic protection. It is much sought for and quite expensive in some countries because it is very effective for protecting oneself from dark entities and people who send negative energy your way. Because of this, black tourmaline is usually included in the arsenal or kit of healers who have to do battle with negative forces or entities. 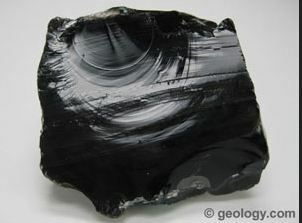 Black tourmaline, like every black crystal and stone that I have come across, is also good for grounding oneself. When we say “grounding”, we mean having a “close, comfortable and harmonious” relationship with the Earth/Terra. Being grounded to the Earth aids in psychic protection and fending off psychic attacks. Tourmalinated Quartz is one of my trusty fav crystals, as it combines the protective and grounding qualities of black tourmaline and that of clear quartz crystals. Tourmalinated quartz includes streaks or inclusions of black tourmaline in a matrix of clear quartz. Clear quartz helps in amplifying the qualities of any crystal or stone that it is combined with or placed near it. Red Jasper is one of my strong stones for psychic protection. Aside from being a good meditation stone, red jasper is also the talisman for warriors since ancient times. It is also a good protection stone, particularly for psychic attacks and for spirit rescue. An additional boon for wearers of red jasper is its ability to send back any negative energies or attacks back to its sender – with even more devastating impact. It is also a good grounding stone as it stimulates the base chakra. Jasper is also used for precognitive purposes. A pretty common stone and easily obtainable especially among the countries in the Far East, Tiger Eye stone comes in golden-brown, blue and red shades. Aside from bringing luck to its wearer – a common belief among Buddhists and Chinese communities, Tiger Eye also provides protection to its wearer. It is also a grounding stone. Like Black Tourmaline, Black Obsidian and Black Onyx have that sheen that makes it difficult to set each stone apart from the other. 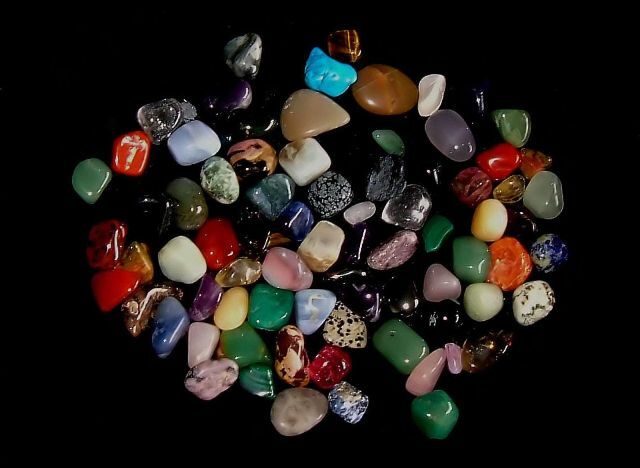 Both stones are known for their grounding capabilities particularly for psychics and those who travel in the astral world. But most of all, they are quite known to provide excellent psychic protection. Contact with guardian spirits are also possible through black obsidian, as well as psychic protection in all levels. It is also been used traditionally for scrying and divination. Black Onyx has similar qualities with Black Obsidian. It is also a protection stone and absorbs and transmutes negative energy sent your way, as well as being a good grounding stone. A stone for meditation and useful in developing psychic ability, violet/purple fluorite is one of my favs, as it has protected me always from harm, particularly when sleeping. Placing purple fluorite under your pillow before one sleeps protects you from bad dreams. Purple fluorite also is popularly known to be great in defending yourself from psychic attacks. It is also an excellent stone for protecting oneself from electromagnetic emissions from the surrounding environment. Wear fluorite on one’s person or under your pillow when you sleep to prevent headaches and nightmares while you’re dreaming away at night. I keep a shard of indigo kyanite with me, as it is known for immediately balancing and aligning our chakras with Mother Earth. It is also known not to retain negative energy and doesn’t need to be cleaned (but I still do from time to time, with common herbs and spices and a bath in clear spring water ;). Kyanite is also known as a high vibration stone and has direct connection to higher dimensional planes. I use it for meditation and when I need a fast connection to the higher and angelic realms. Labradorite is a pretty stone, and its bioluminescence has always captivated a lot of users through time including me. It is known to be a “stone of magic”, as it awakens psychic abilities within you that you were not aware you have. It is reputed to protect your aura, remove any negative energies/beings and seal any potential leaks on it. Personally, I find it an excellent protection stone. It is also known to develop claircognizance. Green Aventurine is one of my favs as a protection against “energy vampires” when faced with one. It provides enough energy to fight against negative attacks and energies. It is also a good stone to wear as protection against “electromagnetic frequency emissions (EMFs)” from everyday objects like your TV antenna, your wifi, electric transmitter towers, etc. It is also known as the “Stone of Opportunity”, as it is known to attract and increase wealth and good luck to the wearer. Lastly, because of its green color, it is associated with clearing and balancing the heart chakra, making us more “heart-centered”, meaning more loving and generous, and can be a good stone to foment harmonious relationships with family, friends and other individuals. Lapis Lazuli is also an excellent protection stone for me, as well as helping to develop your psychic abilities and communicating with higher dimensional beings, spirit guides and guardian angels. It is believed to be a stone of “royalty” and recorded as one of the 12 stones on the breastplate of Aaron, the High Priest of Jerusalem according to the Bible. It is also used in some cultures as a protective stone against the “evil eye” and therefore, is worn on one’s person to combat negative and psychic attacks. This entry was posted in crystal healing, entity removal, interdimensional communication, multidimensional communication, PSI capabilities, scrying and tagged clairvoyance, crystal cleansing, crystal clearing, crystal healing, crystals, crystals for psychic protection, entities, extraterrestial beings, healing crystals, higher dimensional beings, lightworker, psychic attacks, psychic protection. Bookmark the permalink. Great list!! However i hear that Fire Agate, Smoky Quartz and Hematite are usually a good bet too!! Stan, thank you for your comment — and apologies for my really tardy response :(. All crystals are mighty helpful when properly programmed. I do know hematite is great for grounding and protection, and smoky quartz have amplification properties. Not sure about fire agate; you can try using it and update me on the results ;). Thanx and have a great day :)!